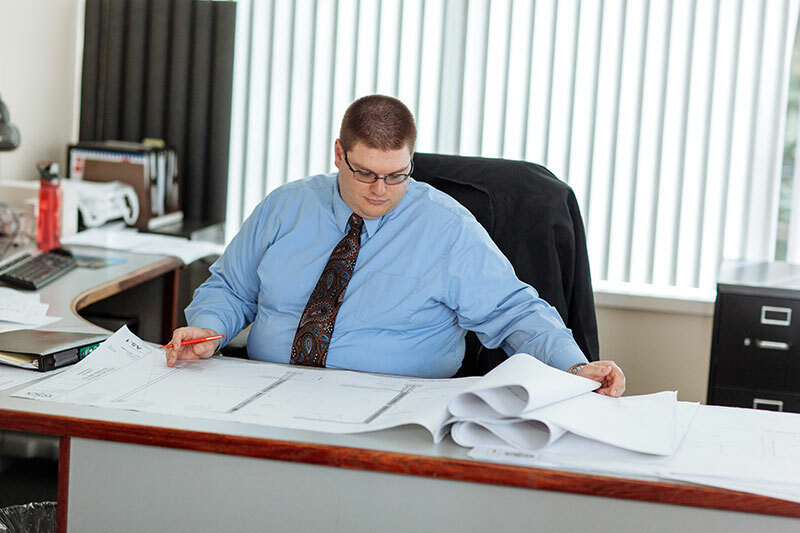 Matthew’s role involves production of drawings, specifications and code review reports, as well as interaction with clients, contractors, vendors, consultants and building officials. He has also travelled to several different locations across the eastern half of the country and California to perform existing conditions surveys. I was introduced to architecture when I entered the architectural drafting program at my high school. I became attracted to the idea of creating a design and then seeing something I drew become a reality. From there I proceeded to college in Boston and then to a small firm on Cape Cod where I primarily worked on residential projects. I joined William Starck Architects in 2005, hungry for new opportunities and a chance to increase my skills within the industry. I have worked on a variety of different projects, but I spend most days working on special projects for a national retail/pharmacy chain. These projects include programs that feature accessibility upgrades, pharmacy remodels, installation of exam rooms for the chain’s limited service clinics, as well as full store renovations. Outside of work, I am recently married. I enjoy cooking, attending concerts, comedy shows and theatre, as well as exploring scenic New England, especially the White Mountains region of New Hampshire. I am an avid fan of Boston’s hometown sports teams, especially the Patriots and am also highly interested in cars.